Last year 100 of you responded to a survey asking you about your involvement in APJN. You were enthusiastic. Many of you took part in online open forums over the summer and as a result a Steering Group has formed – a diverse group from around the world with many interests, but united in our commitment to peace with Justice. We now meet on the first Friday of every month. We also have regular open meetings where we share concerns and pray for the kingdom to come on earth as in heaven. These are on the third Friday of every month at 18.00 GMT. You are welcome to join us. Email Phil and he will send you the link with instructions on how to join. You will need an internet connection and a computer, tablet or Smartphone. Our Facebook page is gathering increasing interest. Please follow it, look at the stories and share them with your friends. We are also in the process of gathering stories for our first two newsletters. These will be available online for anyone to print. We – the Anglican Peace and Justice Network – have set ourselves the aim of producing two newsletters before the next meeting of the Anglican Consultative Council in Hong Kong (28/4 to 5/5/19). 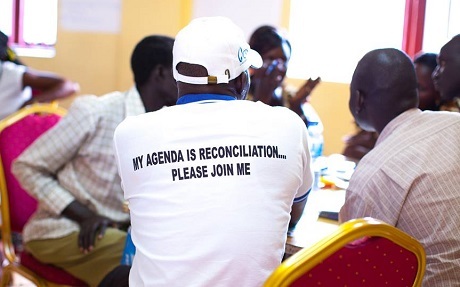 One of the stated roles of the ACC is to “help coordinate common action” through the “exchange of information between the provinces and the churches”. Our APJN newsletter with stories of grassroots church action and engagement in issues of justice and peace, will play a vital role in helping achieve this! The newsletter will be published on the APJN website and should also be easy to print off to share and distribute as useful in the run up to the ACC and during the meeting. ← Previous Previous post: Why Indaba?